The 2017–18 LigaPro (also known as Ledman LigaPro for sponsorship reasons) was the 28th season of Portuguese football's second-tier league, and the second season under the current LigaPro title. A total of 20 teams compete in this division, including reserve sides from top-flight Primeira Liga teams. A total of 20 teams contested the league, including 16 sides from the 2016–17 season, two teams relegated from the 2016–17 Primeira Liga and two promoted from the 2016–17 Campeonato de Portugal. Rules for classification: 1) Points; 2) Head-to-head points; 3) Head-to-head goal difference; 4) Head-to-head away goals scored; 5) Goal difference; 6) Matches won; 7) Goals scored; 8) Play-off. The Player of the Season was awarded to Ricardo Gomes (Nacional). The Manager of the Season was awarded to Costinha (Nacional). The Goalkeeper of the Season was awarded to Ricardo Ribeiro (Académica). The Young Player of the Year was awarded to Artur Abreu (Vitória de Guimarães B). The Club Fair-Play Prize was awarded to Benfica B. The Player Fair-Play Prize was awarded to Casillas (Porto). ^ "A. Académica 1 : 2 CD C. Piedade" (in Portuguese). Liga Portuguesa de Futebol Profissional (LPFP). Retrieved 14 May 2018. ^ "Regulamento das Competições Organizadas pela Liga Portuguesa de Futebol Profissional" [Regulation for the competitions organised by the Portuguese Professional Football League] (PDF). LPFP (in Portuguese). 28 June 2016. p. 10. Retrieved 2 September 2016. ^ "Melhores Marcadores". 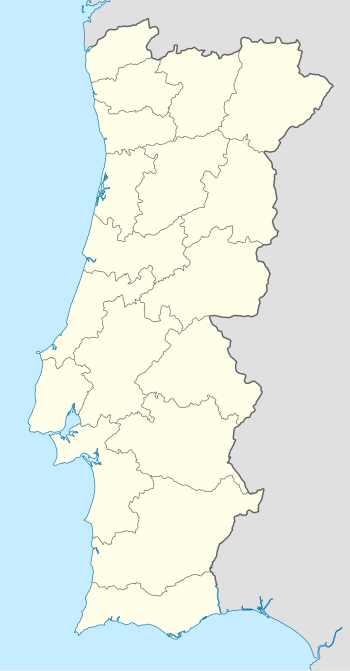 Liga portugal. Retrieved 14 January 2018. ^ "Real 4-1 Leixões". TheFinalBall.com. Retrieved 23 October 2017. ^ "Sporting B 4–3 Santa Clara". TheFinalBall.com. Retrieved 23 October 2017. ^ "Penafiel 4–1 Sporting B". TheFinalBall.com. Retrieved 23 October 2017. ^ "U. Madeira 5–3 Ac. Viseu". TheFinalBall.com. Retrieved 14 January 2018. ^ "Benfica B 5–0 FC Famalicão". TheFinalBall.com. Retrieved 4 February 2018. ^ "Benfica B 1–5 Ac. Viseu". TheFinalBall.com. Retrieved 4 March 2018. ^ "Ledman LigaPro Statistics – Assists". thefinalball.com. Retrieved 13 January 2018. ^ a b c "Revista Liga-te | Nº1". Issuu (in Portuguese). Retrieved 2018-07-07. ^ a b "Revista Liga-te | Nº2". Issuu. Retrieved 2018-07-07. ^ a b "Revista Liga-te | Nº3". Issuu. Retrieved 2018-07-07. ^ "Revista Liga-te - 4ª. Edição". Issuu (in Portuguese). Retrieved 2018-07-07. ^ a b c d e f "Ricardo Gomes eleito Melhor Jogador da LEDMAN LigaPro". Liga Portugal (in Portuguese). Retrieved 2018-07-17. This page was last edited on 4 November 2018, at 18:38 (UTC).